The Fifth Estate, starring Benedict Cumberbatch as international man of mystery Julian Assange, is happening whether the WikiLeaks founder likes it or not. (He does not.) After leaking the film’s script, WikiLeaks has followed up its information assault on the twisted scandal-lovers of Hollywood by publishing Assange’s response to Cumberbatch after the actor requested a meeting “in order to acquire Mr. Assange’s manner.” Spoiler: Assange said no — and did so in his trademark overblown style. 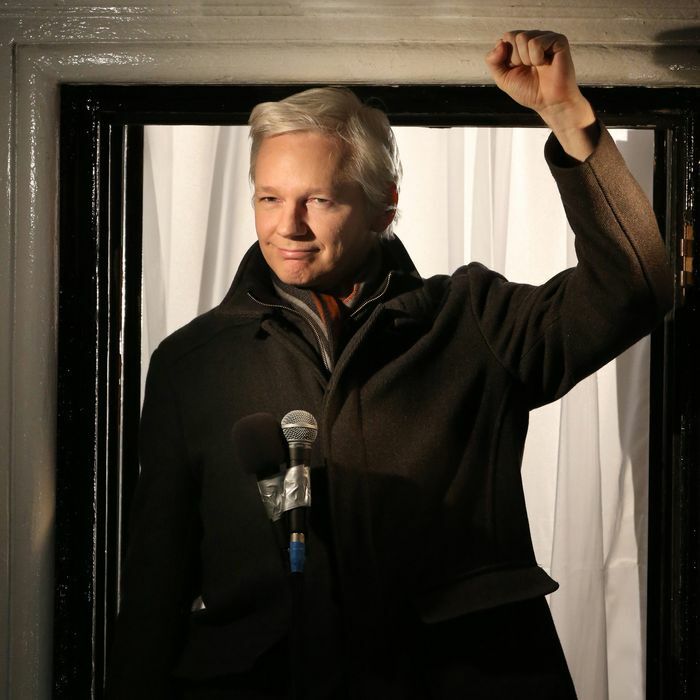 Regardless, the movie opens next Friday in the United States, a fact WikiLeaks, in its attempt to set the record straight, has also done its part to publicize.